Want to create professional content quickly? 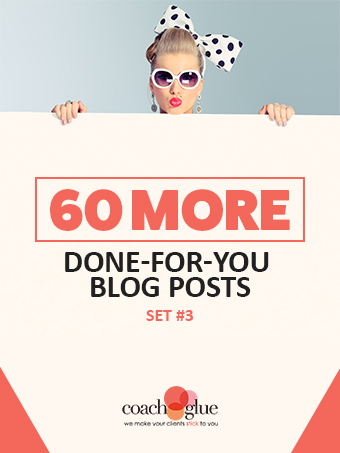 We’ve put together a special package of 60 more done-for-you blog posts on a variety of topics that you can use to fill up your blog, newsletters, and social media accounts with scheduled content for the next year. This package is only available for a limited-time, so make sure you grab these while they last! You will receive the following 60 blog posts in .doc version so that you can customize them for your own use. 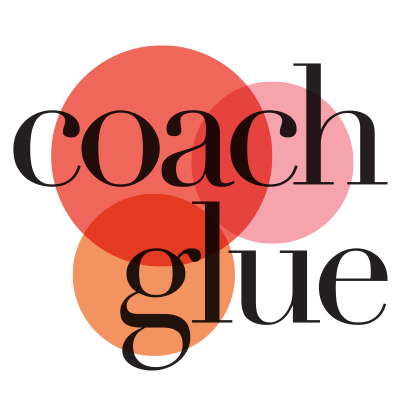 When Do Coaches Need Coaches? Being Authentic: Buzzword or Accurate Advice? Does Your Brand Live Up to Expectations? What is the value of getting new clients on autopilot from this package? At just $47, we know you’ll thank us later. What can you do with the blog posts in this kit? Use them in your own business to help you produce professional content quickly for your newsletter. Load each post into a new blog post draft on your blog. The next time you don’t know what to write, you’ll have 60 “drafts” waiting for you to dig into. Don’t know what to talk about on social media or your next video? Use these as inspiration.